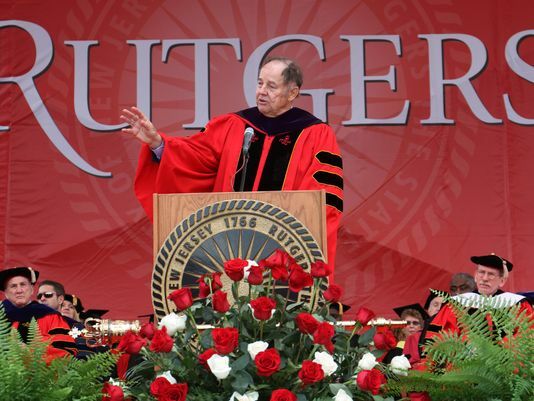 Former New Jersey Governor Thomas H. Kean delivers Rutgers’ 2014 Commencement Address. On Sunday, May 18th, Rutgers University graduated the class of 2014 at the Commencement at High Point Solutions Stadium in Piscataway. After extensive controversy surrounding the selection of a Commencement speaker, including an initial selection of Condoleezza Rice that was debated in an enormous public debate by the Rutgers University Debate Union (RUDU), former New Jersey Governor Thomas H. Kean was selected to give this year’s Commencement Address. In that speech, Kean praised many aspects of Rutgers University and its current graduating class. But he reserved special citation for just a few groups, including RUDU itself. “So no matter where your journey takes you, I hope you’ll always remember: take pride in Rutgers, because you should… Your student debate team is the second-best in the country,” Kean said. Kean’s remarks about the Debate Union come in the fourth minute of the seventeen-minute speech (including introduction). Kean was referring to RUDU’s second-place finish at the National Championships. Kean gave special praise to Rutgers’ status as a state school. Rutgers is only the third state school ever to appear in the National Finals of the American Parliamentary Debate Association (APDA) Championships. The United States Naval Academy (1984) won the tournament and the University of Virginia (2003) also finished second. Members of North Star’s speech and debate team who visited Rutgers gather after the tournament at the School of Communication and Information. 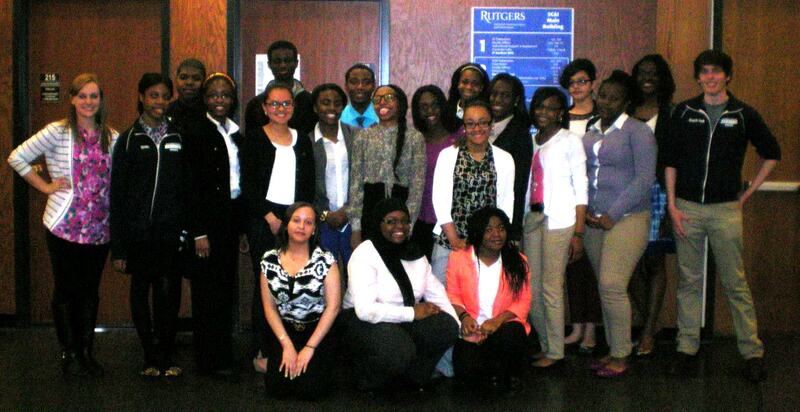 On Saturday, May 10th, the Rutgers University Debate Union (RUDU) hosted the North Star Academy’s speech and debate team for a day of competition, workshops, and collaboration. The Newark high school recently started their team, which has tried many debate and speech events this season. The contingent that attended this event was comprised almost entirely of first-years and sophomores. This is one of several collaborations with high schools that RUDU has done, after public debate exhibitions at Trenton Central High School and at Point Pleasant Borough High School. Kurt Falk, a member of RUDU from 2011-2012, is the Assistant Coach of the North Star Academy team and helped coordinate the event. The team’s Head Coach, Jessica Ehmke, was also in attendance. They were supported by numerous current and former RUDU members who helped run the event and served as judges of the speech competition. The competition itself consisted of short 2-4 minute speeches that the North Star students had prepared and memorized for the event. All were on the topic of a key problem facing society, as chosen by the speaker. There were several preliminary rounds, followed by a break to semifinals (12 speakers) and then finals (6 speakers), resulting in awards for the top three. Throughout the day, rounds of competition were interspersed with a speaking workshop run by Coach Storey Clayton, a demonstration round of parliamentary debate featuring four current and former RUDU debaters (said to be the favorite event by North Star attendees), and a presentation on Rutgers University by a student representative from the Admissions program. Judges also gave rigorous and extensive feedback to each speaker after each speech they delivered. While all competitors spoke well and improved greatly throughout the day, the winners were selected by an aggregate vote of the 9-judge panel, one that featured three APDA National Finalists. 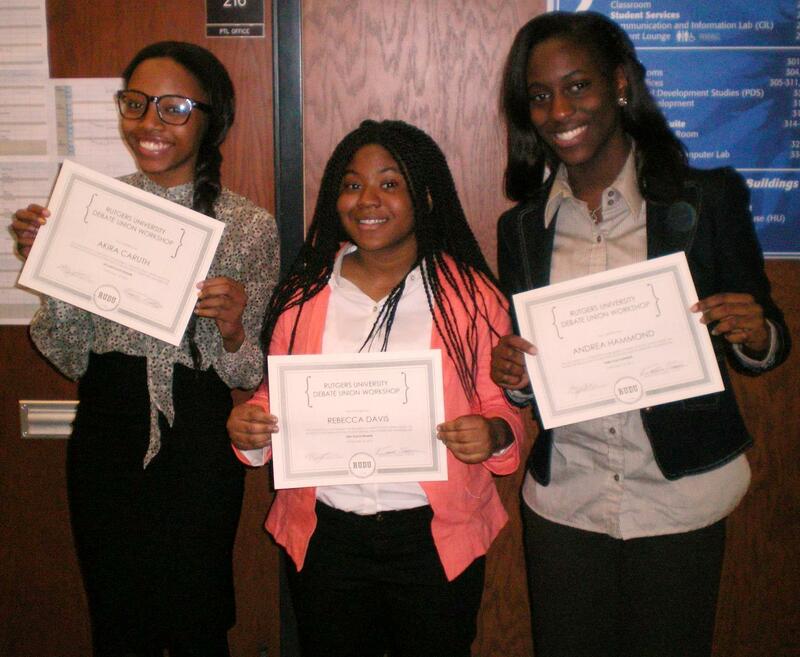 Rebecca Davis was awarded 1st Place, Akira Caruth 2nd, and Andrea Hammond 3rd. Ultimately, the event was a great opportunity for North Star students to visit a college campus and see the inner workings of a highly successful collegiate debate team while improving their skills and having fun. North Star Academy’s winning speakers from the May 10th event. Left to right: Akira Caruth (2nd), Rebecca Davis (1st), and Andrea Hammond (3rd). The iconic photo at Banquet’s end of the 2013-2014 RUDU team. Left to right: Arbi Llaveshi, Gordon Morrisette, Russell Potter, Adam Bomeisl, Jessie Gugig, Nick Hansen, Alex Jubb, Kurt Falk, Ali Ismail, Storey Clayton, George Alukal, Rachel Moon, Nimit Jindal, Gabi Cozzolino, Daimler Vadlamuri, Sean Leonard, Maxwell Williams, Zach Sinkiewicz, Grisam Shah, Quinn Maingi, Jason Boyle, Deepta Janardhan, Jamie DiVito, Becky Ratero, and Henry Phipps. On Wednesday, May 7th, the Rutgers University Debate Union (RUDU) closed one of its most successful seasons of all-time with the annual Senior Banquet, held for the second year in a row upstairs in the Livingston Dining Commons. A bit less than half of the 59 students who attended at least one tournament this year went to the event, celebrating the 5th College of the Year standing for Rutgers in the American Parliamentary Debate Association (APDA), the trip to National Finals, and eight graduating seniors, seven of whom gave their farewell speeches to the club. The event opened with the finals of the “Would You Push the Button?” Tournament, the new manifestation of the Ironman Tournament tradition that dates back to 2008 on RUDU. Twentieth-seed Zach Sinkiewicz won the flip and chose to Opp against second-seed Sean Leonard. Leonard carried the humorous round on a substantial decision, joining prior (2012) winner Ashley Novak as the only sophomores to win the in-house single-elimination tournament. This tournament featured a double-octofinal bracket of 32 individuals which were pared down to the finalists over the course of two weeks. Sinkiewicz was by far the lowest seed ever to make the finals, upending the fourth and top seeds en route to his second-place finish. Senior speeches marked the most emotional portion of the night. Maxwell Williams, Daimler Vadlamuri, Adam Bomeisl, Deepta Janardhan, Alex Jubb, Gordon Morrisette, and Henry Phipps gave Senior Speeches in the midst of the four-hour program, making their farewells and recommendations to the club. Each was introduced by a close friend on the team as per tradition, who told stories about the impact of that senior on the team and its history. The respective introducers for the seven seniors were Nick Hansen, Jamie DiVito, Sean Leonard, George Alukal, Rachel Moon, Arbi Llaveshi, and Becky Ratero. Speeches ranged from funny to heartfelt, with advice that was both tough love and warm appreciation. Senior Ashley Novak, the team’s first female President and first top ten SOTY finisher, was unable to attend the Banquet. Williams closed his speech with a senior gift for Coach Storey Clayton of a homemade “Cards Against RUDU” game, while Morrisette announced the senior gift of a six-foot RUDU banner that the senior class will be giving to the team. Janardhan also announced a plan to donate a certain amount of money to the team for every novice next year who novice breaks or earns a top ten novice speaker award, to refocus the club on recruitment and promotion of novices as well as its current varsity success. Several other seniors have since joined her pledge. Janardhan also had the honor of passing on Farhan Ali’s “Beepy Timer” award, this time choosing to pass it on to first-year Ali Ismail. The ceremonial award is given by a graduating senior on the team to a non-senior to honor their perseverance and dedication to the team. Coach Storey Clayton closed the speeches with remarks about the team and the announcement that he would likely be stepping down as Coach of RUDU at the conclusion of the year after serving for five years as Coach. He thanked many people for their contributions to the team over the years and observed the incredible rise RUDU has witnessed from obscurity in 2009 to National Finalists in 2014. The night continued with a game of “RUDU Feud!”, a take on Family Feud about various attributes of members of the Rutgers team. The game was run by Henry Phipps and Nick Hansen. The night then concluded with Henry Phipps’ slideshow of the year, set to music, and the annual iconic team photo, seen above. Below is a list of the members of RUDU who attended tournaments this year, all of whom contributed in some way to the success of the Debate Union who became just the third state school ever and the first in 11 years to make the National Championship Final Round. The annual closing picture for the RUDU year at the conclusion of the Senior Banquet in 2013. Left to right: Kai Rau, Quinn Maingi, Kyle Bomeisl, Nick Hansen, Sean Leonard, Jason Boyle, Nisha Kumar, Leland Perice, Kurt Falk, Rachel Moon, George Alukal, Ashley Novak, Archana Babu, Russell Potter, Chris Bergman, Arbi Llaveshi, Gordon Morrisette, Katerina Dimitrusheva, Alex Jubb, Daimler Vadlamuri, Maxwell Williams, Chris Baia, Bhargavi Sriram, Jamie DiVito, Henry Phipps, Gabi Cozzolino, Storey Clayton, Deepta Janardhan, and Becky Ratero. APDA’s full standings for this year can be found here. APDA’s full National Championship results can be found here. APDA’s full tournament results for this year can be found here. First RUDU Meeting of the Year Tonight! Murray Hall on Voorhees Mall on the College Avenue Campus in New Brunswick. The first meeting of the year is in room 210. The Rutgers University Debate Union (RUDU) will kick off what looks to be the most successful season in its history with a meeting tonight at 9:00 PM in Murray Hall 210. 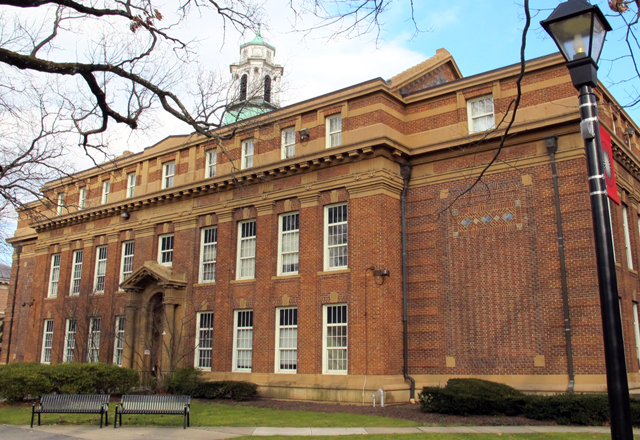 Murray Hall is on Voorhees Mall on the College Avenue Campus in New Brunswick. You can see the location on a campus map here. RUDU meets twice weekly throughout the school year on Tuesdays and Thursdays at 9:00 PM. Meetings consist of team business, signing up for tournaments, practice rounds, and sometimes drills. Tonight’s meeting will have special information for new debaters, including an overview of parliamentary debate and the opportunity to see a demonstration round. New members are encouraged to attend tonight to get the training aimed at new debaters, but people can start attending meetings at any point during the season. The 2013-2014 season opens at Johns Hopkins University in Baltimore with a tournament that will involve around 80 teams from all over the American Parliamentary Debate Association (APDA) circuit. The second tournament will be at the College of William and Mary in Williamsburg, Virginia. Sign-ups for both of these tournaments will be taken at tonight’s meeting. RUDU finished last year ranked third in the nation, behind only Yale and Brandeis and ahead of Harvard, Princeton, and Columbia. This year, the team expects to contend for one of the top three spots, possibly moving up with the fewest graduating seniors who qualified for Nationals last year among the top three schools. Six of the seven national qualifiers at RUDU last season are back for this year. There are debate tournaments every weekend through early December (with the exception of Thanksgiving) and all next term from mid-January to the National Championships in late April. 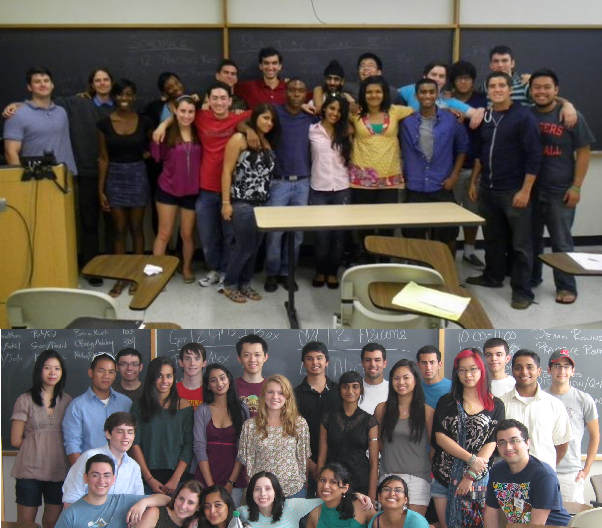 Rutgers debaters may attend as many or as few tournaments as they like, depending on their schedule. The Rutgers University Debate Union (RUDU) held its largest ever Novice Retreat over the last three days at the School of Communication and Information (SC&I) on the College Avenue Campus in New Brunswick. From Wednesday, August 28th through today, 43 new recruits to the Debate Union gathered with two coaches and nine varsity debaters for an intensive and fun training, including workshops, games, demonstration rounds, and lots of practice. The first Retreat to have more than 30 attendees, this one had over forty people show up on the first day and nearly that many return for the second. The third day was a bit smaller, as many new novices had to move in or attend campus orientations today. RUDU has been holding Novice Retreats of some kind for five years, but this is the third year of multi-day events hosted by SC&I, who co-sponsors the Debate Union. The second Novice Retreat this year is a two-day event on Sunday and Monday and will have a much smaller, but no less dedicated enrollment. As per usual, this year’s new novice class seemed to enjoy the debate games and drills the best, including the ever-popular Two-Minute Drill. A great deal of improvement was seen among all attendees from the first day to the last. This year’s Retreat graduates will be competing as part of perhaps the most exciting and skilled incarnation of a Rutgers debate team in history. Ranked third in the country last year, RUDU stands poised to contend for one of the top two spots in the American Parliamentary Debate Association (APDA) standings this season. The 28-weekend season begins in one week at Johns Hopkins University in Baltimore, Maryland. Novice Retreats Begin in Two Weeks! The Novice Retreat pictures from late August in 2011 (top) and 2012 (bottom). The Rutgers University Debate Union (RUDU) will be holding two Novice Retreats in the School of Communication and Information (SC&I) as summer comes to a close. This will be the third year in a row that SC&I has hosted these intensive, fun introductions to APDA-style debate for prospective Debate Union novices. SC&I can be found at 4 Huntington Street on the College Avenue Campus in New Brunswick, New Jersey. Free parking is available for the first Retreat for those wishing to commute from home. While it is by no means mandatory to attend a Retreat in order to join RUDU in the upcoming season, it will be the best time to learn the craft of parliamentary debate before the demands of the season and the school year begin. RUDU always accepts new members and offers training for those looking to improve their public speaking skills and compete with the very best in the nation. RUDU finished the 2012-2013 season ranked third in the country, behind only Yale and Brandeis. For more information or to sign up for a Retreat, please contact Coach Storey Clayton at storey.clayton@rutgers.edu. The annual closing picture for the RUDU year at the conclusion of the Senior Banquet Tuesday night. Left to right: Kai Rau, Quinn Maingi, Kyle Bomeisl, Nick Hansen, Sean Leonard, Jason Boyle, Nisha Kumar, Leland Perice, Kurt Falk, Rachel Moon, George Alukal, Ashley Novak, Archana Babu, Russell Potter, Chris Bergman, Arbi Llaveshi, Gordon Morrisette, Katerina Dimitrusheva, Alex Jubb, Daimler Vadlamuri, Maxwell Williams, Chris Baia, Bhargavi Sriram, Jamie DiVito, Henry Phipps, Gabi Cozzolino, Storey Clayton, Deepta Janardhan, and Becky Ratero. The Rutgers University Debate Union (RUDU) closed its most successful season of all-time with the annual Senior Banquet, held this year upstairs in the Livingston Dining Commons. About half of the 56 students who competed in at least one tournament this year attended, celebrating the 3rd College of the Year standing for Rutgers in the American Parliamentary Debate Association (APDA) and the seven graduating seniors who gave their farewell speeches to the club. Jason Boyle, Katerina Dimitrusheva, Leland Perice, Archana Babu, Bhargavi Sriram, Nisha Kumar, and Chris Bergman gave Senior Speeches in the first half of the three-hour program. Each was introduced by a close friend on the team who regaled the crowd with stories of their early time on the Debate Union and what they felt was meaningful about that person’s contribution to their lives. The respective introducers for the seven seniors were Shireen Hamza, Gabi Cozzolino, Arbi Llaveshi, Daimler Vadlamuri, Deepta Janardhan, Rachel Moon, and Ashley Novak. Many speakers focused on the sense of inclusion and welcomeness on RUDU and what they were able to get out of their time with debate. The last three speakers dispensed advice on what to focus on for those with debating still ahead of them, with Bergman closing on the recommendation that people step out of their ordinary experiences as much as they can. Senior Bhargavi Sriram closed her speech with passing on Farhan Ali’s “beepy timer” to Deepta Janardhan. The ceremonial award is given by a graduating senior on the team to a non-senior to honor their perseverance and dedication to the team. She also gave the Senior Gift, a new tradition this year, on behalf of the seniors, which was a camera for recording practice rounds and competitive rounds for use by the team. Coach Storey Clayton closed the speeches with a brief statement thanking the team for their hard work and dedication and reminding them to not forget how far the team has come in a short number of years, thanks to the contributions of every last person on the squad. The night continued with a game of “RUDU Feud!”, a take on Family Feud about various attributes of members of the Rutgers team. The game was run by Deepta Janardhan and Henry Phipps. The night then concluded with Henry Phipps’ slideshow of the year, set to music, and the annual iconic team photo, seen above. Below is a list of the members of RUDU and their status heading into next year. All made significant contributions to the club this year in its most successful and storied year in the history of debate at Rutgers.